Leading Manufacturer and Exporter from Vadodara, our product range includes Incinerator Plant such as Incinerator System, Solid Waste Rotary Incinerators and Medical Waste Disposal Incinerator Plant. KINC’s impeccable quality Incineration systems are perfect blend of vast experience and world class technology. Designing excellence and superior manufacturing processes to ensure complete destruction of furans and dioxins. Designed in-house, systems to operate in parallel flow and counter current flow configuration. 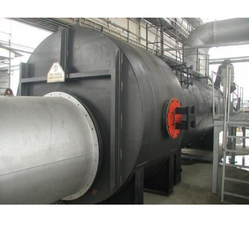 Supplied rotary kiln units for mineral processes, calcining,oxidation catalyst recovery or treatment, and waste incineration from a number of sources. Air control system for air flow rate and velocity control. High Tech Solid Edge Designs. Controllable heat of Reaction for Product Quality Change. Ease to Control Critical Process Parameter On Panel. Wireless temperature measurement, only of its kind in India. 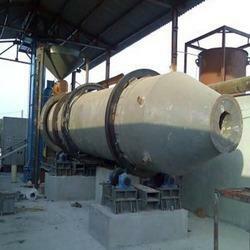 Specially designed fine iron powder separator, ensuring high quality of finished mineral. We are counted amongst the eminent names in industry for manufacturing and exporting a large gamut of Solid Waste Rotary Incinerators. The range we offer is well analyzed ands quality approved on well defined parameters to ensure their reliability and standard quality. Under the assistance and leadership of the industry experts, we are able to manufacture the best quality products in industry. KINC’s impeccable quality Incineration systems are perfect blend of vast experience and world class technology. Designing excellence and superior manufacturing processes to ensure complete destruction of furans and dioxins. Fuel Producer Gas, atural Gas, LDO, Diesel, Biomass, Coal, Charcoal, Lignite, White coal Refractory lining with suitable alumina % based on waste to be incinerated Temperature measurement through wireless technology KINC is an industry leader in the field of thermal processing. We have been supplying a durable line of thermal processing equipment for over 10 years. Our designs can address a vast array of bulk solid, liquid materials and processing requirements. KINC supplies high temperature, refractory lined kilns for a number of applications and industries. All designs are developed with efficiency, durability and process flexibility over a decade of time period. 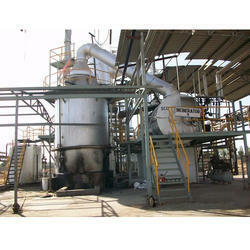 Looking for Incinerator Plant ?